Himeji Castle will be lighted-up at night until mid-night. It is the great night scene with the most beautiful castle in Japan. This is the great combination of historical site and modern site. This could never happen during the Edo period. The light-up will shut down at 0:00. 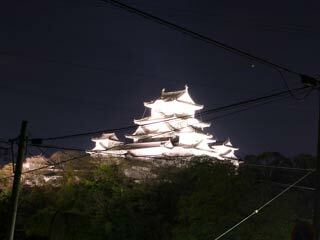 You can see Light-up Himeji Castle from many angle in Himeji city.